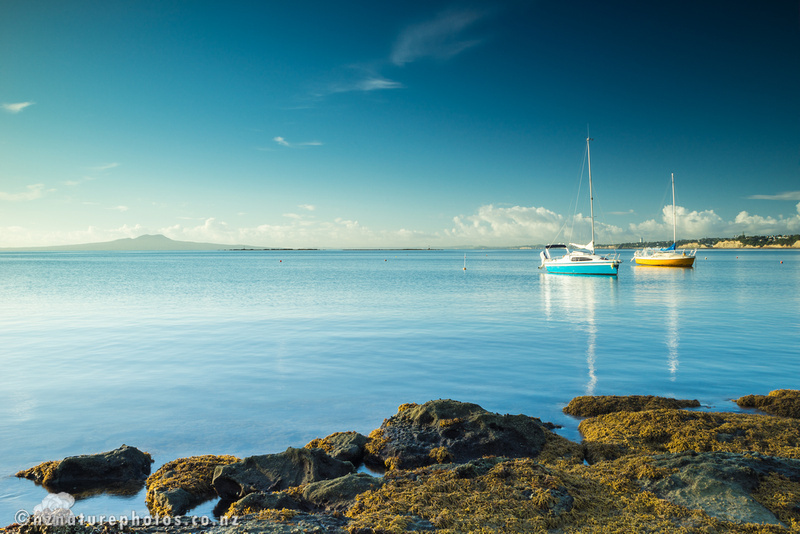 This shot was taken at Waiake, one of the most picturesque small bays on the Hauraki Gulf. The Tor is fully exposed at low tide. I stopped by on a commute to work and took a few shots with the Sony a7R. It helps that I keep a tripod almost permanently in the boot of the car. I am finding the a7R to be a much easier camera to carry and use, than the a900. 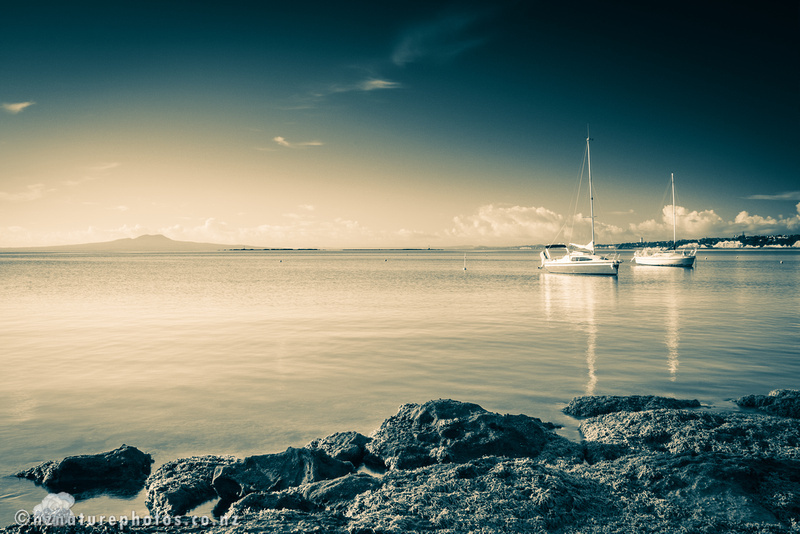 I opted to convert the picture also into a duotone format (like the previous Sunday Seascape). This seems to emphasise the contrasts and shapes in the scene a little better.